Tina Sadri M.A., MFT joins me this morning on Get the FUNK Out! Tina Sadri joined me this morning on Get the FUNK Out! If you missed this great conversation about social media, facing the ups and downs of life, learning about the power of "talk therapy" and more, you can listen to the entire show here. Tina Sadri’s work experience and training includes working at F.A.C.E.S (a non-profit agency) as part of her internship and being trained to treat clients with cognitive behavioral therapy- her training included doing therapy with low income families dealing with a variety of problems, including but not limited to; divorce, co-parenting, court-ordered reunification cases, co-parenting for divorced parents, play therapy with children, individual suffering from symptoms of anxiety & depression, and couples therapy. Later in her training, she worked at a private practice under the supervision of Bernard Schwartz treating a variety of cases with individual, couples & families furthering her training in Cognitive Behavioral Therapy. Psychotherapy is a process that’s a lot like learning. You discover ways to overcome difficulties, develop inner strength and skills to deal with stressful situations. Therapy includes talking and listening, building trust, and receiving support and guidance. At the beginning sessions are focused on discussing what you'd like to work on and setting goals. Tina Sadri is a compassionate therapist with the education and professional training to understand problems, concerns and symptoms that you may be having. She works with you during "talk therapy" to develop inner strengths and skills, or make changes. She has addressed the current issues on social media by helping parents and children to identify and deal with social media disorders (SMD). Her book will be a tool that identifies symptoms and provides solutions. Understanding how to navigate social media in a healthy manner is necessary since more and more people have accepted online communications into their personal life. Learning to socialize using the spoken word is new for the current generation. Tina’s advice to clients and parents is to turn off the phone and talk the old-fashioned way. Social Media Disorder is anything that affects you in an addictive manner or makes you feel digitally devastated. When someone is having problems they often feel isolated and alone. This has become more of an issue due to the excessive use of social media which has changed has we communicate with cyber “Friends”. More and more people feel isolated and relate to the world based on unrealistic feelings of popularity. In fact, by posting a “Selfie” (self photo) they are exposing themselves to strangers whom may express criticism or false praise. The person posting the photo is now emotionally affected by the results. As parents we tell our kids to not speak with strangers. Unknowingly, parents have allowed “internet strangers” to communicate while remaining undetected. Many kids want to feel accepted and communicate daily to hundreds if not thousands of strangers. You can just imagine how this desire for acceptance presents potential harm. There are many Social Media Disorders that have come about in the last 10 years due to expansion of online communications. Young kids are given phones and told to not lose it so and they carry it around with them constantly. This relationship with the phone started the day you gave the phone to your child. The concern for “cyber-relations” is not limited to the United States. We are now faced with addictive social media junkies who now need to learn how to take a digital pause. Wrapping up my three part series about filmmaking with Justin Giddings and Ryan Welsh at 9am! Creative team Justin Giddings and Ryan Welsh were back on the show in part three of my three part (pre)summer series! If you missed this dynamic duo, listen to our conversation here! Justin Giddings and Ryan Welsh of Giddy Welshmen Productions are back on today's show. Last week (June 9), they talked about the film production process, and today we are chatting about post-production! LIVE on KUCI 88.9fm and streaming on www.kuci.org. Lisa Hamilton, founder of the Esther Project, V.I.N.E Foundation and freelance writer for the LA Times joins me Monday! If you missed Lisa on today's show, listen to our conversation here. As an inspirational author/speaker Lisa’s passion is to encourage women to live life to the fullest with her newest release of her candidly inspirational book UNSTICK YOUR STUCK LIFE . Lisa’s honorary title of Ms.coastal 2014 recognizes her voice in the community as Founder of the Esther Project, founder of the V.I.N.E. FOUNDATION for charitable causes, as well as a freelance writer for the L.A. TIMES. She has also received the 2014 nominee Woman in Business award. in passion, with prosperity, in loving relationships and connected to God. Anything less than that is Stuck! As a philanthropist, Lisa’s latest case is a story about a boy who recently underwent an urostomy surgery where he is destined to live with a urine bag just after graduating from high school.“ There is one doctor , though not covered by insurance, that can operate and perform a reversal. goal $10,000. I will do anything to get this young boy an operation, and I will not quit until I do. Ready for PART DEUX?? THEY'RE BACK! Creative team Justin Giddings and Ryan Welsh are back on the show in part two of my three part (pre)summer series! THEY'RE BACK! Creative team Justin Giddings and Ryan Welsh were back on the show in part two of my three part (pre)summer series! Justin Giddings and Ryan Welsh of Giddy Welshmen Productions were back on today's show. Last week (June 2), they talked about the pre-production film process, how to make your ideas and concepts are reality, what to expect in the process, the experiences they have had in their previous projects and their current productions, and more. Today, they were back on the show talking PRODUCTION! What to expect when you are expecting...a film to go your way...and perhaps &^%$ happens, because we all know it does, but how do you deal with it? Justin and Ryan shared what they have faced along the way and some tips of the trade. If you missed today's show, you can listen here. Next week, they will wrap-up the three part series by discussing the post-production process. Get ready for lots of great advice and tips for entering the post production zone! Monday 9:00am pst on KUCI 88.9fm, streaming LIVE on www.kuci.org. And after the show...I will upload our conversation here! Nikki O’Neill, a Los Angeles-based performing/recording artist, guitar player and singer-songwriter joins me Monday at 9:30am! Thanks to special guest Nikki O'Neill for joining me on today's show! If you missed her, you can listen to our conversation here! 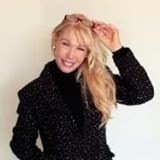 Nikki O’Neill is a Los Angeles-based performing/recording artist, guitar player and singer-songwriter who has co-written songs with reggae icons Sly & Robbie (including the song “Higher Levels”). Her guitar video lessons have been viewed over 1,000,000 times on YouTube. Nikki is also the author of Women’s Road to Rock Guitar---an instruction book that prepares guitarists for playing rhythm and lead guitar in rock bands, writing songs, using gear and dialing in their sound. In addition to being an artist/songwriter, she has interviewed many top guitarists like Steve Vai and Zakk Wylde for musician magazines in Europe, and is a contributing writer to the ebook series Songwriting: Get Your Black Belt in Music & Lyrics. Nikki has enjoyed many opportunities to coach and inspire other female guitarists. She has been an international guest clinician at ELLA, an all-female rock music college in Sweden. She also created and taught the university-level class “Women’s Contemporary Rock Guitar” at The New School in Manhattan in New York City. Nikki O’Neill endorses Daisy Rock Guitars and Seymour Duncan pickups. For more on Women's Road to Rock Guitar, visit womensroadtorockguitar.com and watch the trailer on YouTube. THEY'RE BACK! Creative team Justin Giddings and Ryan Welsh are back on the show in a three part summer series! Justin Giddings and Ryan Welsh of Giddy Welshmen Productions are back! Starting today (June 2), they talked about the pre-production film process, how to make your ideas and concepts are reality, what to expect in the process, the experiences they have had in their previous projects and their current productions, and more! If you missed these Giddy Welshmen, you can listen to our conversation here! And they will be back next week, talking about the production process Monday June 9 at 9am PST on KUCI 88.9fm or stream us LIVE on www.kuci.org. Got questions for Justin and Ryan? Joyce Monaco, Director of Marketing & Communications for the National Ovarian Cancer Coalition, joins me this morning on KUCI 88.9fm! for the National Ovarian Cancer Coalition, Inc. joined me this morning at 9:30am on the Get the FUNK Out Show, KUCI 88.9fm. If you missed Joyce, you can listen to our conversation here. Grammy and Tony Award Nominee, Valisia LeKae, will appear as the Keynote Speaker at the NOCC's 15th Annual Conference, March 6-8, 2014, at the M Resort Spa & Casino, in Las Vegas. Grammy and Tony Award Nominee, Valisia LeKae, was starring in the Broadway role of a lifetime, playing Diana Ross in "Motown The Musical." Then Valisia was diagnosed with Ovarian Cancer. Now, one of Broadway's brightest lights has joined forces with the National Ovarian Cancer Coalition as National Spokesperson, to play one of the most important roles of her life, and plans to win! Valisia understands the need for women to be proactive about their health, and that early detection saves lives. "It's another way for me to use my voice and be an advocate for this disease that I now have. I want to talk about it. I just want people to be aware." "As a 34-year old, African American woman," Valisia says, "I feel that it is important that I share my story in order to educate and encourage others about this disease and fight against it. God has given me another role to play, and like all my previous roles, I plan to go all in, only this time I plan to win! Valisia will continue to deliver her message of awareness about Ovarian Cancer as the Keynote Speaker at the National Ovarian Cancer Coalition's 15th Annual Conference, March 6-8, 2014, at the M Resort Spa & Casino, in Las Vegas.